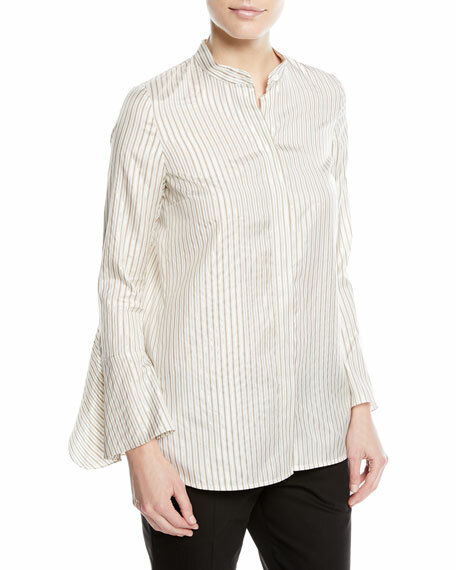 Lafayette 148 New York "Graydon" striped blouse. Band collar; hidden button placket. Exclusively ours. 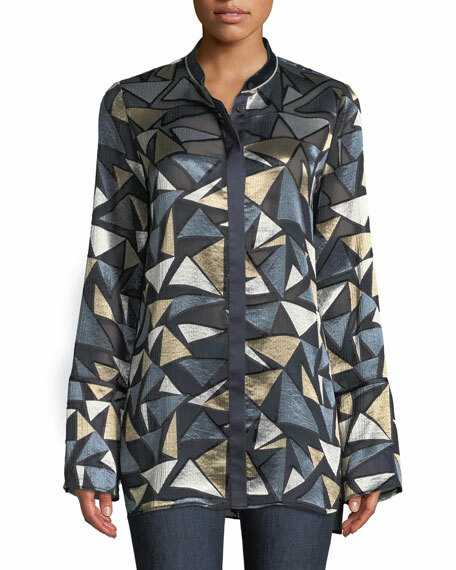 Lafayette 148 New York luxe charmeuse "Cartolina" blouse. 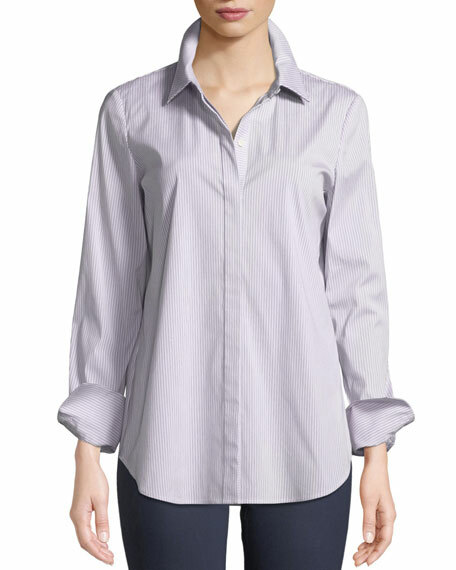 Spread collar; concealed full button placket. 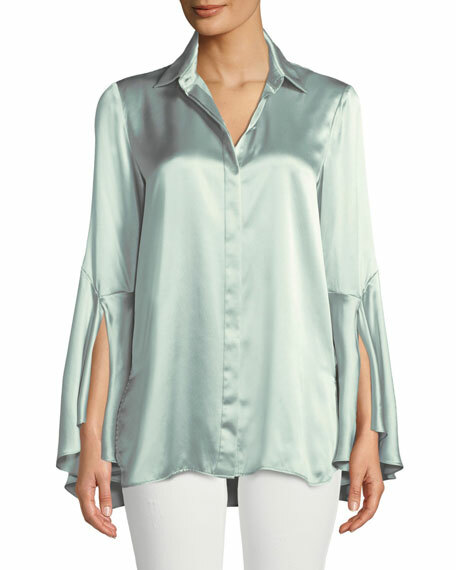 Long, flared sleeves; split cuffs. Yoked back with box pleat. Relaxed silhouette. 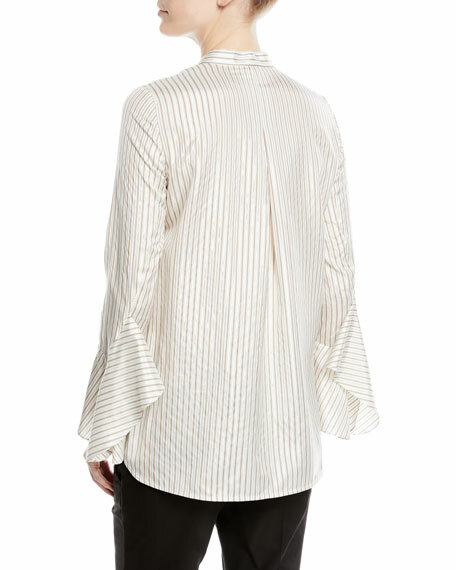 High-low shirttail hem; vented sides. Silk; dry clean. Imported.